I have written before about getting your Japan fix in the UK. But what about getting your home comforts whilst in Japan? I have learned to live with (and sometimes love) the Japanese alternative of most things: teabags, chocolate, shampoo etc. But there are certain English (and presumably other nationality) products which are just better than the Japanese counterpart! Mainly toothpaste, deodorant, HobNobs and face-wash. I know there are some sites out there bent on convincing would-be ex-pats into thinking that the toothpaste and deodorant problem is just a rumour... well it's not! I have not found a single brand of toothpaste which doesn't make me gag (my students use a toothpaste in a fetching gray shade...yuck), and the deodorant is like sprinkling flavoured water on yourself. To get these home comforts, and a few other luxuries (e.g. a good, spicy curry paste) we have mainly been relying on few and far between home visits, friends and family on holiday or other ex-pats willing to bring back things when they are on a trip back. There are however many international supermarkets in Japan; stocking everything from English biscuits to American root beer, a range of international liquor, not to mention the hundreds of things you didn't even know you missed! This informative website, exploring all the delicious things Japan has to offer also features a list of international supermarkets in the Tokyo area and beyond. 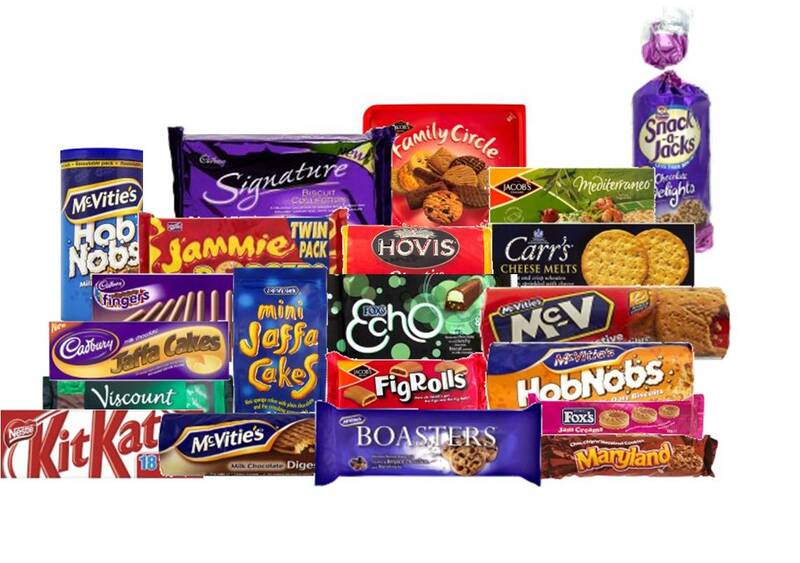 Another way to get these home comforts is by ordering online. However this can prove difficult, if not impossible for some food items. The meat guy stocks some of the things you might be craving, such as couscous and specialities like pumpkin pie to meet your thanksgiving needs (and proper size and shape steaks). The flying pig, and yoyomarket, also stock imported food including frozen and chilled goods, as well as electrical items, books, and personal items, as does The Deli, which will also order in an extensive selection of American produce. Finally, you can find shops outside of Japan who deliver here. This is slightly more difficult as there are, of course, customs regulations preventing the import of certain items (cheese for example, and certain medications). I have used Direct chemist in the past to purchase toiletries and vitamins (which can be incredibly expensive in Japan), and as noted in a previous article, Health Span UK and Nature's Best also ship vitamins and minerals. If you can recommend anywhere else to buy food and toiletries online (and which deliver to Japan) please let us know in the comment box below. Rakuten and Amazon (JP) stock a surprising amount of products I love, from Victoria's Secret body wash to Bath and Body Works hand santizer and Korres shampoo. If you cannot find it in English, translate the company name to katakana using an online converter combined with trial and error - I have found almost everything...at a price, of course. But, I don't think you should continue rumors that have been around for decades because they were true back then but aren't necessarily true now. Every expat has their personal preference for items like toothpaste and deoderant. There is nothing wrong with that and they should just bring that unless they are willing to take the time to try and find a Japanese brand that works for them. However, these personal preferences doesn't make Japanese toothpaste or deoderant worse than foreign brands. toothpaste and deoderants has changed alot, even in the last 10 years or so, and there are even foreign brands sold in stores now. If you look at the ingredients, they are not that much different. Yes, many expats may say they like the brands from their home country, but how many of those people have actually tried multiple brands like you would in your home country when trying to find something that works for you. Probably not very many. They just believe the rumors and come with preconceptions about Japan and then continue to spread the rumors. Personal preferences and opinions can be helpful to people but it does not mean that this problem/rumor is true or not. While it might be so in your case, it does not mean it is the case for everybody. Good point about Rakuten and Amazon (JP), we will be covering them in a future post. And David, with regards to deodorant and toothpaste, of course it is personal preference. But I can honestly say I do not know any ex-pats who like or willingly use the Japanese variety. I am not saying the toothpaste is bad and your teeth will rot if you don't import your regular brand, but it just tastes terrible! As for deodorant, I don't know what they put in it, but if I have to use Japanese deodorant I reapply 10 times a day and still smell like a beast! For me it is not a rumor, I wish I knew about it before I reached Japan, giving me an opportunity to bring some from home and not spend thousands of yen trying every brand in the supermarket before giving up and getting some posted over. JP deodorant doesn't work for me, either. Tried several brands. Toothpaste is generally gross, but you can find familiar brands with familiar tastes from time to time. I've heard the ingredients (or quantities of ingredients) aren't quite the same, but I can't really comment on that. Not sure if my site was one of those "sites out there bent on convincing would-be ex-pats into thinking that the toothpaste and deodorant problem is just a rumour...", since I'm not aware of any others. But I'm wondering where you live and what toothpaste is in your area/what you've tried, because in my experience a lot of the toothpaste just tastes minty and like any standard western toothpaste. (That said, I'm sure there are some that don't taste good). 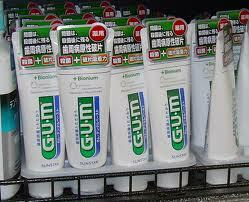 It's also common to find some brands like GUM and Aquafresh in stores, which may be familiar to a lot of expats. As far as ingredients go, for toothpaste and deodorant, I did the footwork and discovered their chemical makeup is essentially the same as western products. It's also important to note that some Japanese products come from western-owned companies, and some western products sold in their respective countries come from Japanese-owned companies. If you look at ingredient lists and compare to their western counterparts, you'll find they are pretty much the same. Differences exist just as small differences do between types/brands of western products themselves. So, as far as deodorant goes, much of it actually contains the active ingredient in antiperspirants, and if you compare ingredients, many are similar (but there are some that aren't as well, just have to read ingredient labels). I really do think effectiveness depends on the person though, but when you say "most expats," I have to wonder if these expats haven't tried things for themselves or have gone off of what everyone else says without doing their own research. And, it's also a bit ethnocentric to promote all Japanese personal care products as inferior without having tried them all, or only from one person's experience. Everyone is entitled to say something does or doesn't work for them, but to say from that that all the products are ineffective, is just irresponsible. It's like if someone went to a western country, tried a few types of shampoo or something, and then decided none of them worked for he/she, and so therefore all western shampoo doesn't work. If you look at it that way, it just doesn't make sense. I think we tend to go into another culture not knowing and not being able to understand what it is in things and therefore it's easy to rush for the comforts of home. And there's nothing wrong with that, as I've done the same myself. But I just don't think it's right to tell people to continue to believe myths. You're welcome to go check out my research and see for yourself. But I'd also like to point out, just in case my site was one of those "sites", that I also provide options to find western products as well, so I don't really see it as bent on anything other than disproving myths and helping people find what they want/need. Anyway, you've definitely covered some of the main expat-in-Japan resources, and I would definitely second Amazon Japan. I'd also suggest kenko.com and iHerb. Well Laura, thanks for a controversial post! At least no-one is challenging you on the face-wash front. This isn't the kind of site that promotes heated back-and-forths in the comments (not to say that is happening), but one main reason not covered here why I personally buy my deodorant and toothpaste from abroad is that it is significantly cheaper. At current exchange rates both are 120yen each (from England), plus a flat postage of between 600 and 1200 yen per order. Fast and pretty good selection. I'd like to second Dom's comment about cost. This is the number one reason why I would always recommend people bring/send certain health products etc from home (UK in my case). This always seems to be forgotten when people recommend not to bother bringing things because you can find equivalents here. Basic painkillers for example are 10-20+ times as expensive here as the UK. As for toothpaste, the main reason I don't use Japanese toothpaste in general is that I can't tell how much fluoride is in it. It may well be just as good as western toothpaste but without knowing the fluoride amount nobody can really say it's as good for sure (assuming you believe the benefits of fluoride that is). And I can't be bothered to work out the rest of the stuff in it - sometimes it's just easier to buy western stuff. Thanks Laura. A very informative post. If I could add a few things…. Traditionally, one would buy sake and shochu from the rice shop and all other spirits (whiskey, vodka, etc.) were imported, so often liquor stores (especially large ones or shops in the city center) have all sorts of other imported goodies: cookies, crackers, cheese, etc.). You mentioned the Deli which is part of the Foreign Buyers club. The deli is a selection of popular items that they keep on hand and can ship to you quickly. However, the FBC got their start by having a wholesale buyer in the US buy and ship items to Japan. They still do that, so if there is an item that you are looking for that is typically sold in a supermarket in the U.S. they can order it for you and it will take six to eight weeks to arrive. The staff at FBC are very knowledgeable and helpful and can get almost anything you want. However, something to keep in mind when ordering supplements is that some of them, while legal in your home country, are illegal in Japan. If you order something that is illegal, even unknowingly, you can be arrested. It happened to a university teacher in Osaka in 2006. Although it doesn’t say so in the Japan Times article (link below), the rumor around the university teaching community in Osaka at the time was that he had ordered GHB from an American website as a workout supplement. It gave me pause because I was having things shipped in from Vitacost at the time. I never had any trouble, but I wasn’t ordering anything illegal and like I said it was a rumor that he got busted for a workout supplement. He could have been rooffying girls downtown for all I know. I have also heard an anecdote (a friend of a friend type story) back in the 90’s about an eikaiwa teacher getting busted because his mother sent him Sudafed (pseudoephedrine) in the mail. I don’t know if that one is true either. UPDATE: The Flying Pieman Australian Meat Pie Shop in Onomichi City, Hiroshima has begun selling online. Delivery Japan-wide.